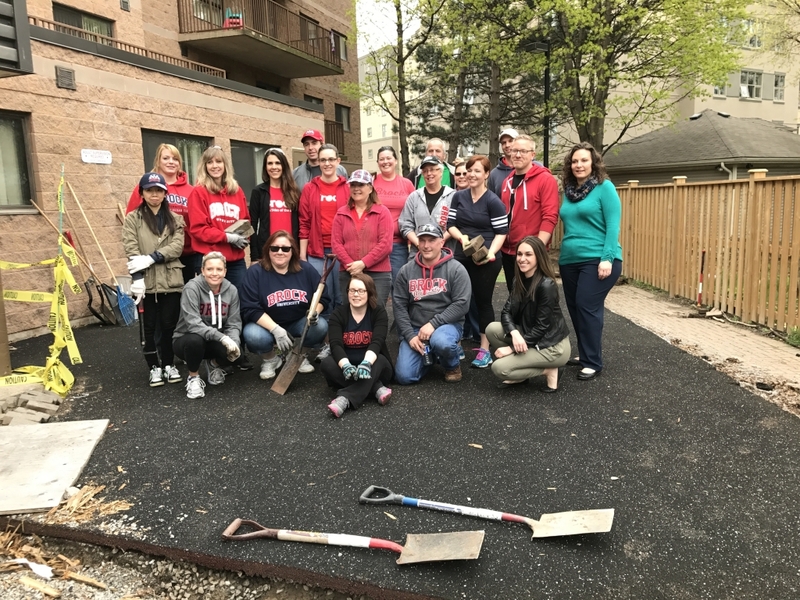 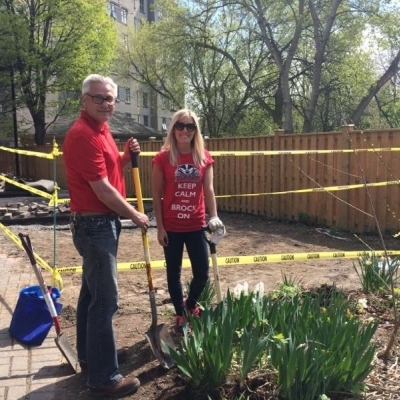 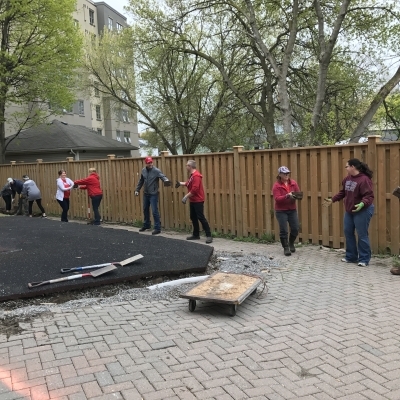 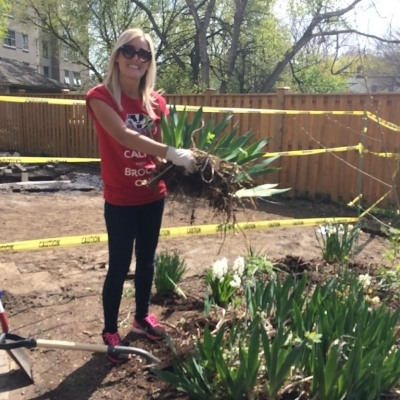 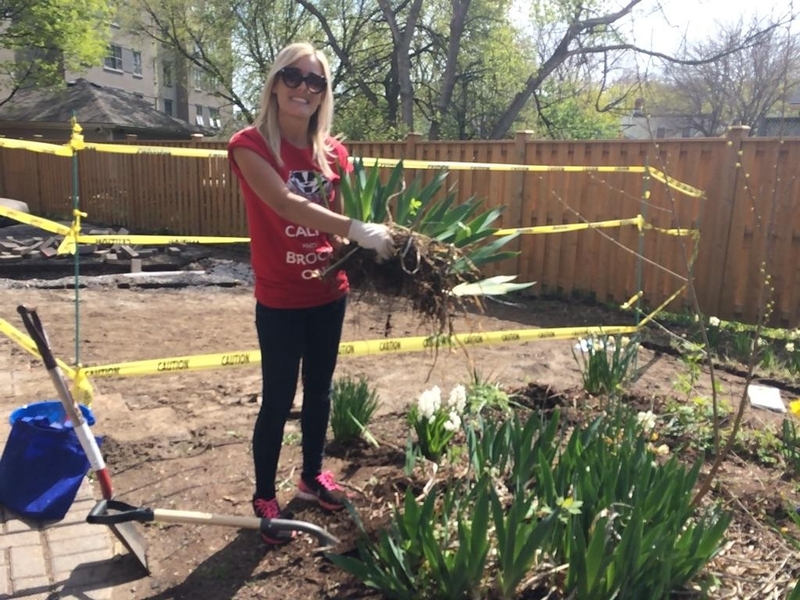 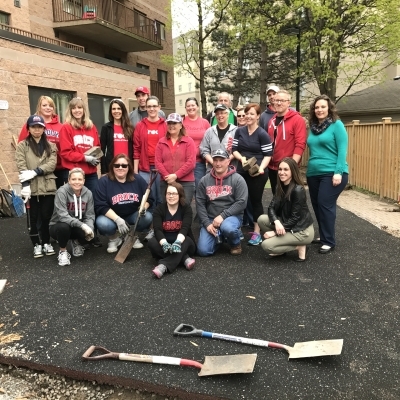 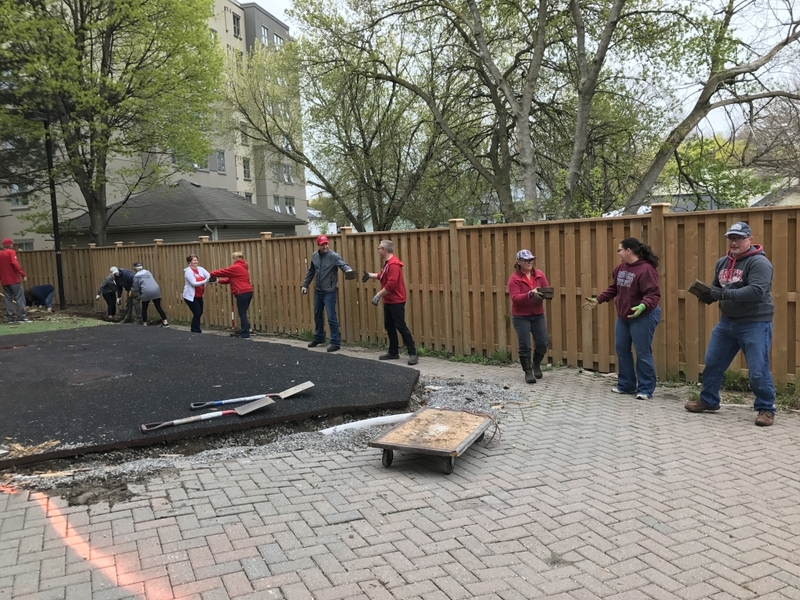 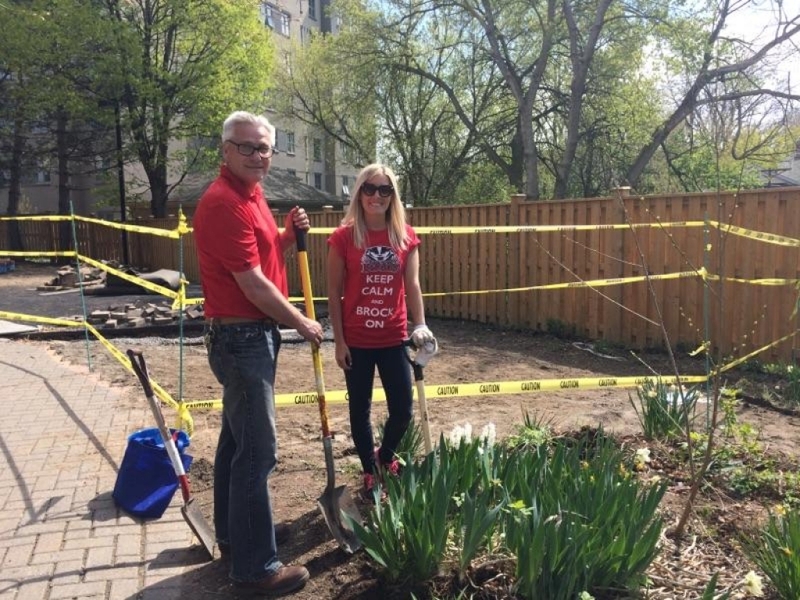 During National Volunteer Week, we had over 40 volunteers from Brock University’s Staff and Faculty to help begin prepping the site for the revitalization and redevelopment of the Bethlehem Place playground and extended yard, to create an inclusive naturalized environment and play area. 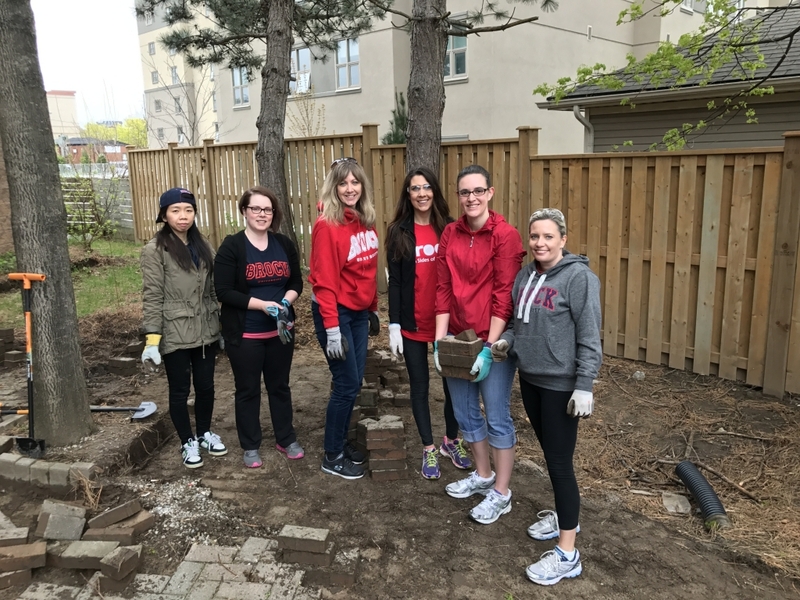 Brock University Staff and Faculty make it a priority to get involved for National Volunteer Week. 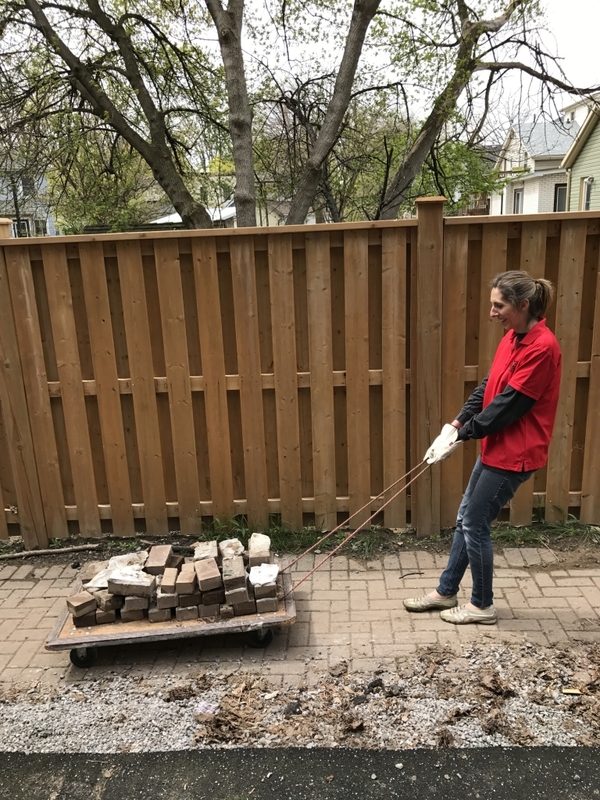 This is the third consecutive year that they have partnered with community outreach programs to complete a variety of indoor and outdoor activities. 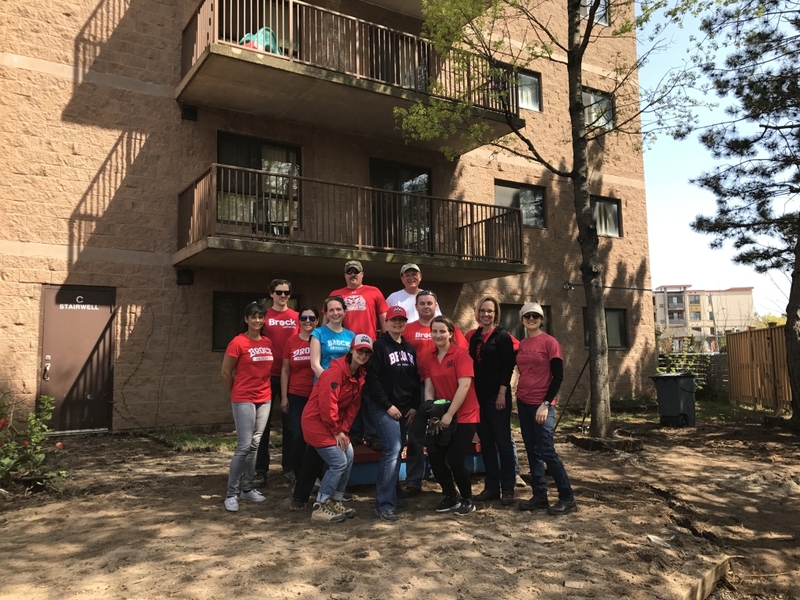 This year they selected Bethlehem Housing as one of their charities of choice. 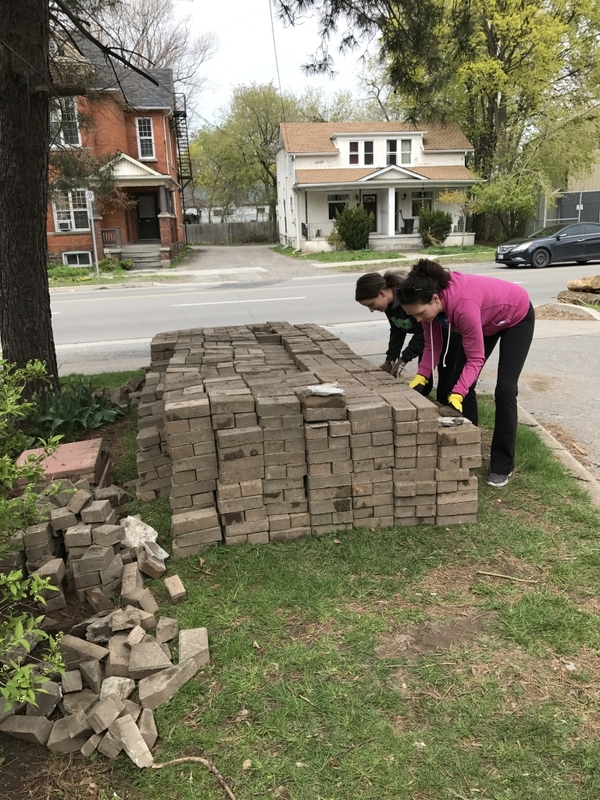 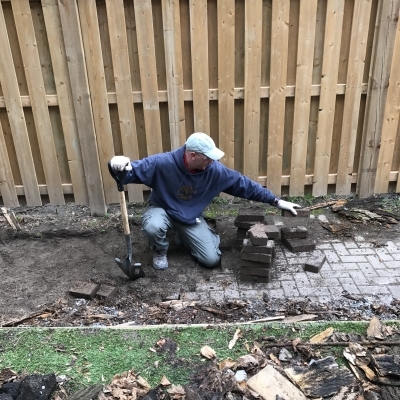 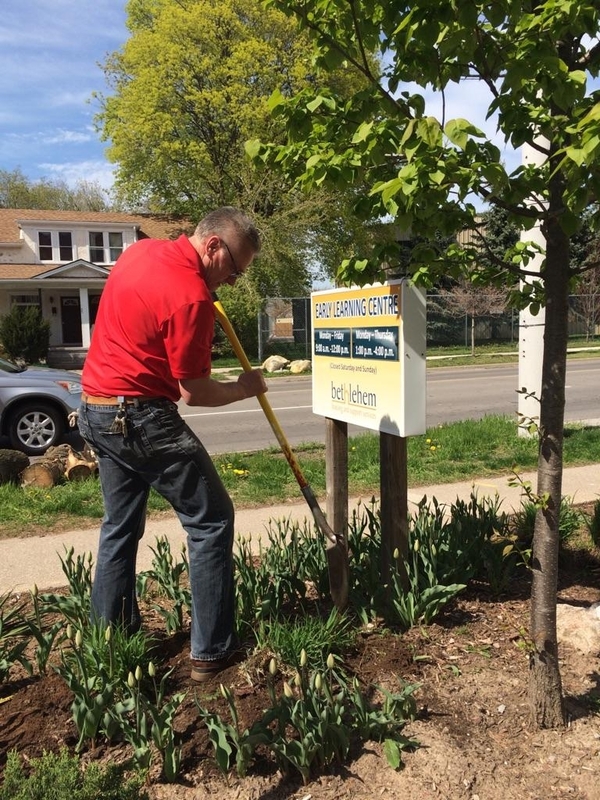 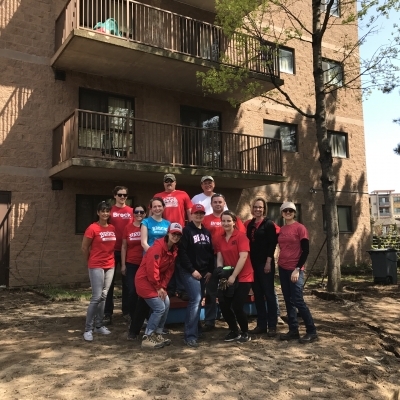 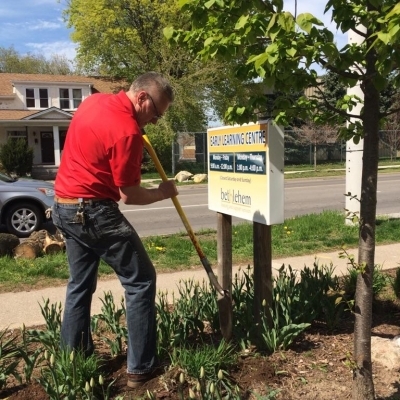 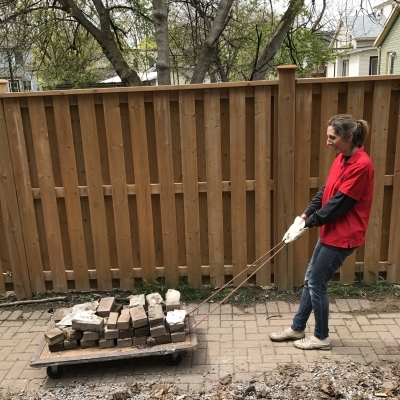 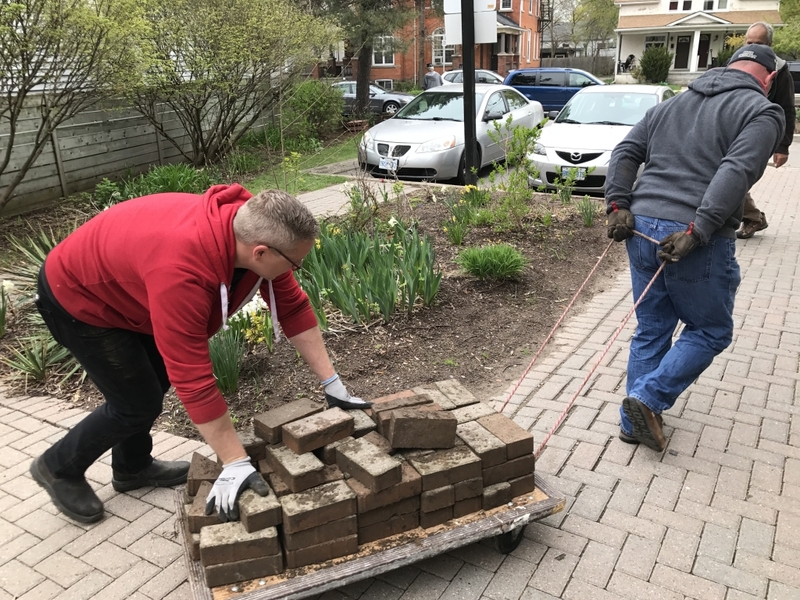 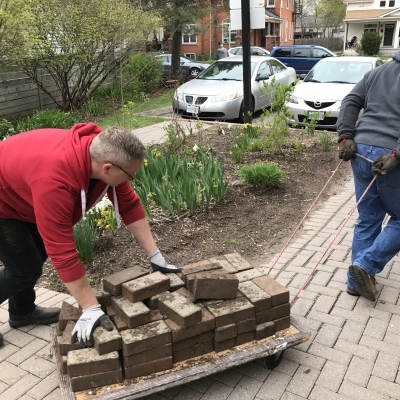 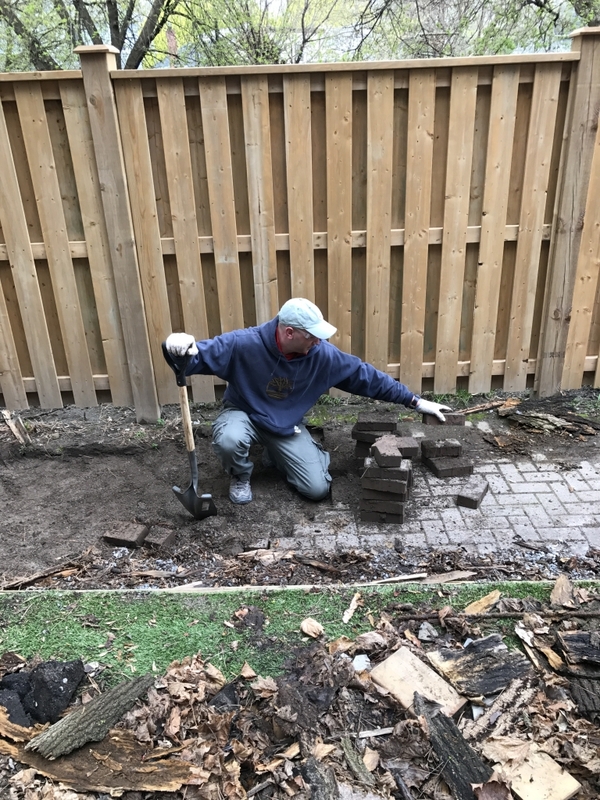 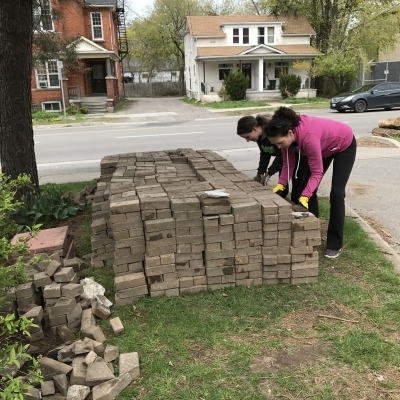 They assisted with the removal of over 5,000 interlocking bricks, relocation of plants and shrubs, cleaning up garbage around the buildings, and sweeping debris as it occurs from the walkways. 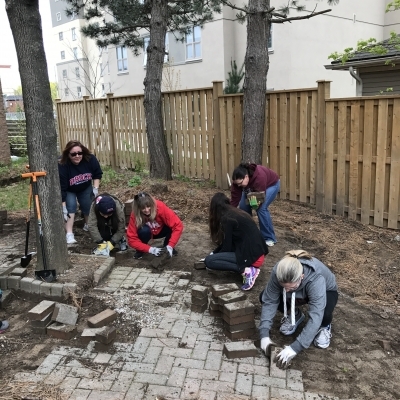 This naturalized play space will facilitate participation in our Early Learning Centre programs that will enhance development for children and improve the quality of life for families that live at Bethlehem Place and in the surrounding area. 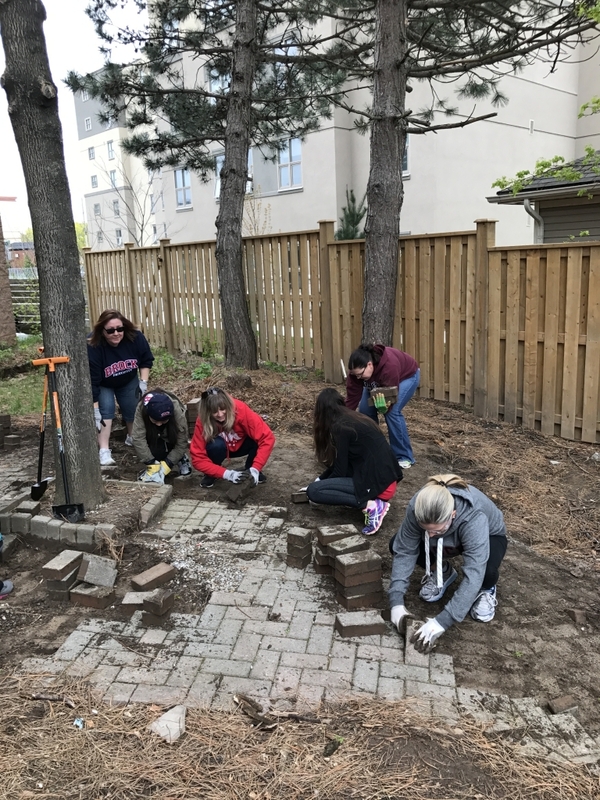 The play area will allow the children to connect with nature, benefit their physical development and emotional wellbeing. 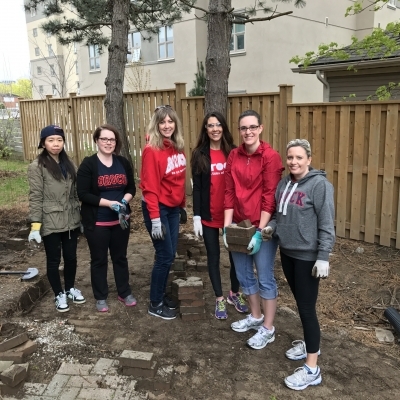 Thank you to all the staff and faculty at Brock University that provided over 130 hours of volunteer work towards our Naturalized Playground project.